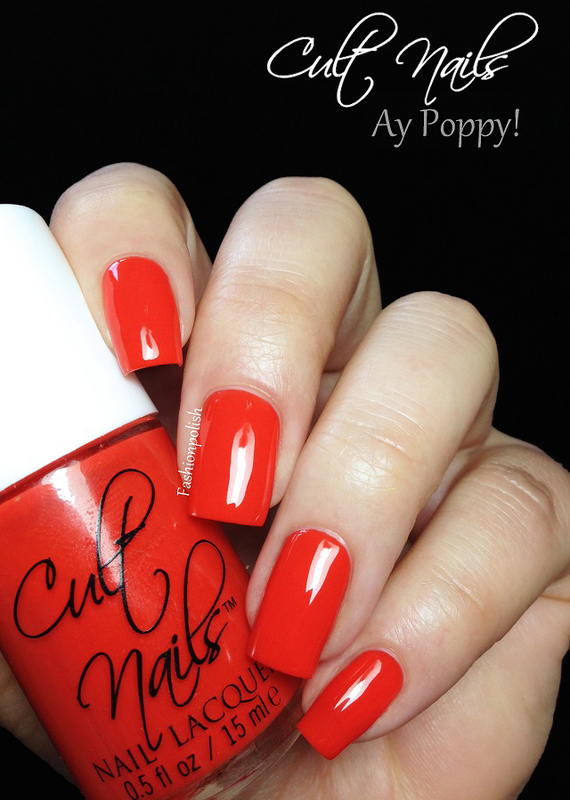 Fashion Polish: Cult Nails In the Garden collection Review! Cult Nails In the Garden collection Review! So today I have the Cult Nails In the Garden collection to share with you. I've actually swatches these a couple of weeks ago but haven't had time to post them yet. I just have a crazy number of swatch pics sitting on my laptop just waiting to be sorted out and edited! Anyway... The In the Garden is a set of 5 Spring shades, 3 "wax" finish, a shimmer and a crelly. 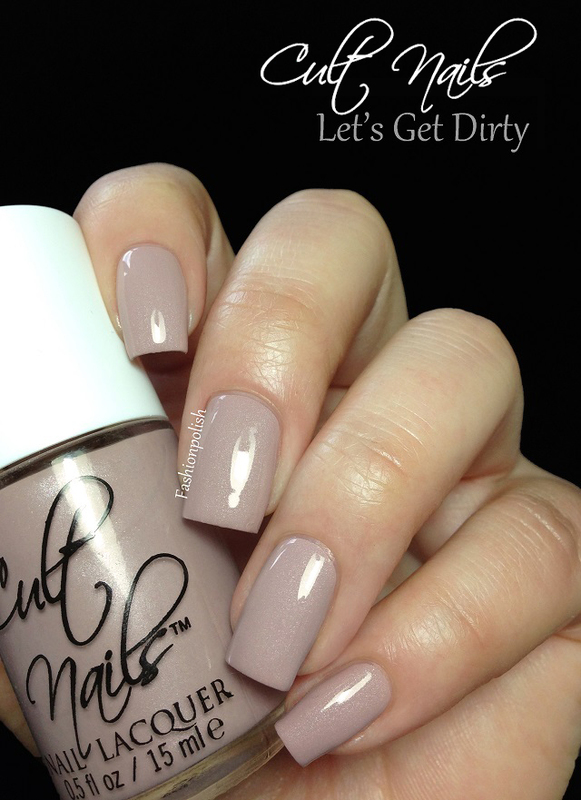 Let’s Get Dirty is a pale taupe with hints of mauve, silver shimmer and a soft wax finish. I actually dig this one and please believe me I'm not a light shades enthousiast. Formula was really nice and it looked just perfect at two coats. Swatches below with and without topcoat, love it both ways! 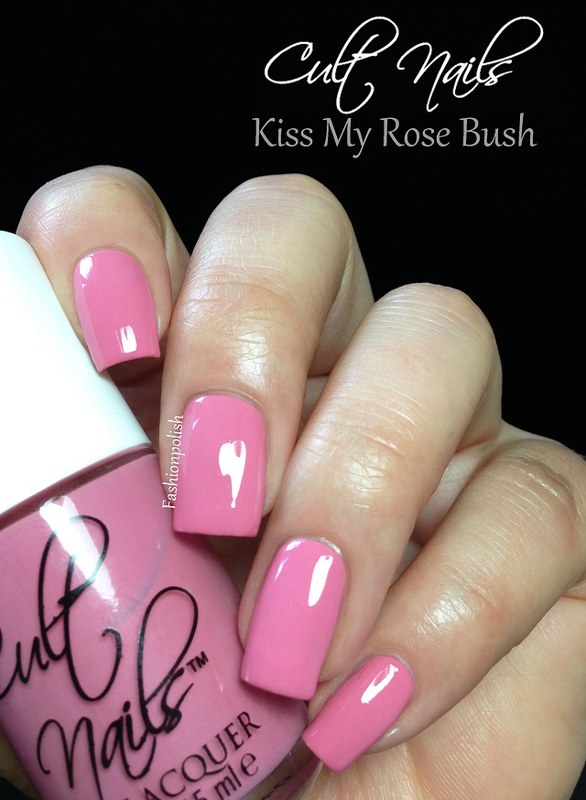 Kiss My Rose Bush is a light washed out blue based pink with almost invisible silver shimmer and a wax finish. This one actually gave me a really hard time with application. It was thick and streaky and just wouldn't behave despite all my efforts. It's also not typically the type of pink I'd go for but it does look pretty with topcoat (which helped cover all the imperfections as well). I used two coats below. 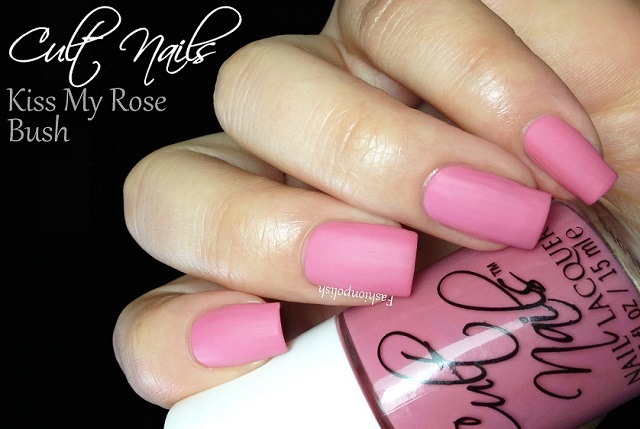 Morning Glory is a berry pink creme with a wax finish. This one looks completely different with and ithout topcoat! I have a soft spot for the glossy version but they both look really nice. Formula was a bit thick here but totally manageable and it required two coats for perfect coverage. 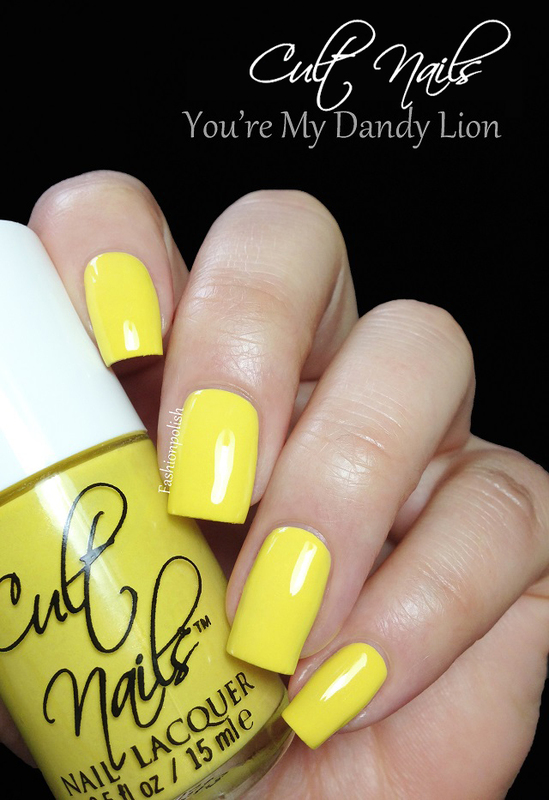 You’re My Dandy Lion is a medium cool yellow with a gorgeous matching shimmer. Bold, bright, vibrant, gorgeous! I really love this type of yellow as it's not too warm and I'm sure would suit a wide variety of skin tones. Formula was a bit difficult but that's nothing new for a yellow, three thin coats and it looked simply flawless. Ay Poppy! is an eye-searing orange crelly that's just... wow! 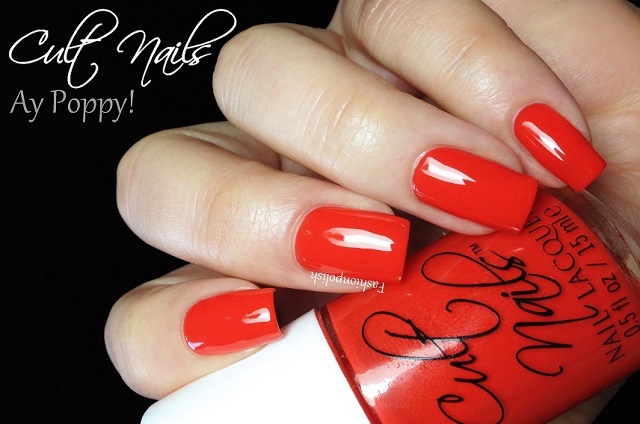 I think I must own every bright orange there is so it's no surprise I'm totally in love with this one. Application was flawless and offered complete, even, coverage with two coats. Another really nice Cult Nails collection. 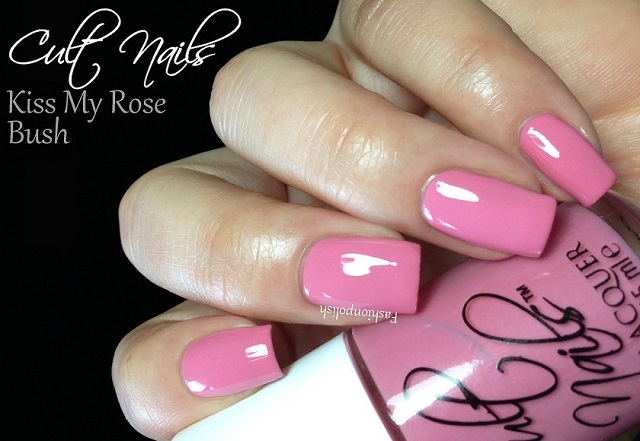 I love the wax finish and how soft and sophisticated it looks compared to "regular" flat mattes. My top picks : Let’s Get Dirty (which is totally surprising to me! ), You’re My Dandy Lion and Ay Poppy! of course. So what did you think about these? Did you grab any of them? The Cult Nails In the Garden collection is already available on shop.cultnails.com as well as international stockists and retails for $12 each. 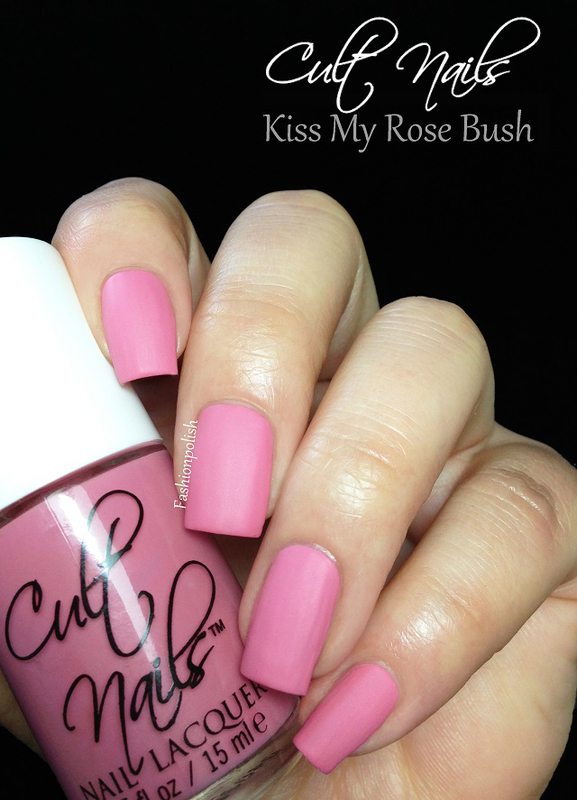 Make sure to subscribe to the Cult Nails newsletter to be informed on new releases, upcoming events and special deals. Wow. I LOVE Morning Glory, both the wax and top-coated versions! I reaaaally love the wax finish! So beautiful. These are lovely - all of them! I like the colours and the wax finish - I think my favourites have to be Let's Get Dirty and You're My Dandelion.